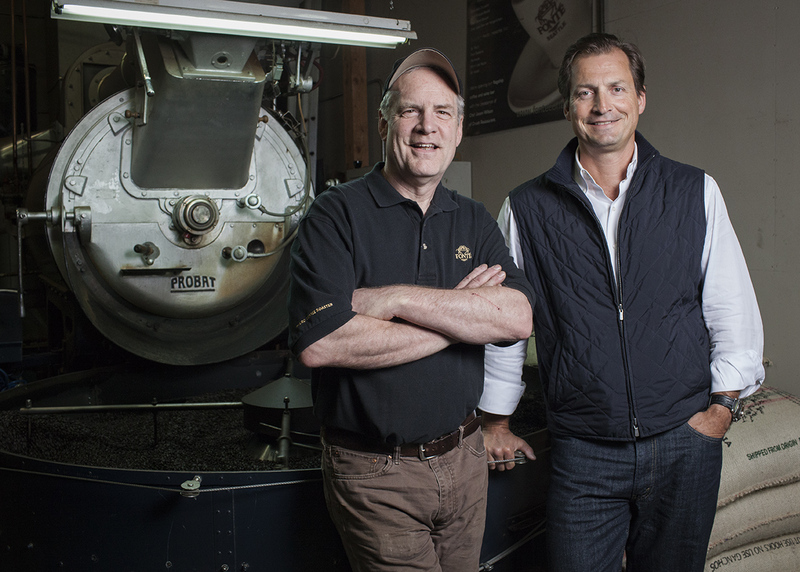 Meet Steve Smith, master roaster, and Paul Odom, owner. Fonté Coffee Roaster, Seattles premium coffee roaster, was founded in 1992 in North Americas coffee capital. Paul Odom started the company with a true passion for coffee and a mission to create the finest coffee blends in the world. Renowned for meticulous methods of productionfrom sourcing the highest-quality coffee beans in the world, to blending compatible aromas and flavors, to roasting coffee by hand with masterful expertise. The commitment to exceptional cup quality, roast-to-order freshness and five-star service has attracted a prominent, worldwide clientele such as the Wynn Resort Las Vegas, Four Seasons, St. Regis, and Peninsula Hotels and has earned Fonté accolades from award-winning chefs, fine restaurants, exclusive hotels and industry publications. Chefs around the country appreciate the care and skill Fonté puts into creating its unique coffee blends. We take great care in sourcing the best and freshest ingredients for our cuisine. Our guests are always delighted by Fontés complex aroma and full-roast flavor, says one of Food & Wines Best New Chef alumni Chuck Wiley, Hotel Valley Ho. Recognizing that coffee beans are perishable, Odom developed a strict signature roast-to-order program where Fonté coffee is shipped within 24 hours of roasting and sealed in advanced packaging with one-way freshness valves to ensure top quality coffee delivery. Unwilling to compromise with machines that roast in industrial quantities or by color, Fonté adheres to artisan guidelines and equipment that have stood the test of time. Each batch of Fonté coffee is hand-roasted in German-engineered Probat machines by tenured master roaster Steve Smith, a 35-year veteran of the coffee industry, who can roast up to 10,000 pounds a day with this special technique. Smith selects beans and creates blends in a manner that is very similar to that of a fine winemaker. First, he meticulously sources coffees based on the varietal character unique to specific regions around the worldfrom Costa Rica to Brazil, Indonesia to Ethiopia he then combines the flavors to create the one-of-a-kind blends Fonté Coffee is famous for. These specialty blends have a sophisticated taste that appeal to both coffee lovers and food aficionados alike. Fonté also imports tea and creates a variety of proprietary blends comparable to their premium coffees. Fonté teas are blended to order in small batches and shipped immediately to ensure freshness, mirroring the process used for Fonté coffees. Today, Fonté coffee and teas can be found in the finest restaurants and hotels in the US and at exclusive locations in Japan, Korea, Canada, the Caribbean, the Bahamas and Costa Rica. Consumers can purchase Fontés specialty coffee blends and teas online at www.fontecoffee.com. Examiner 2014 - The Whole Bean: Can Coffee Really Benefit Our Health? Benzinga 2014 - Will Green Mountain 'Revert to the Mean' After Its Coca-Cola Deal?